← What Would Maya Angelou Do? 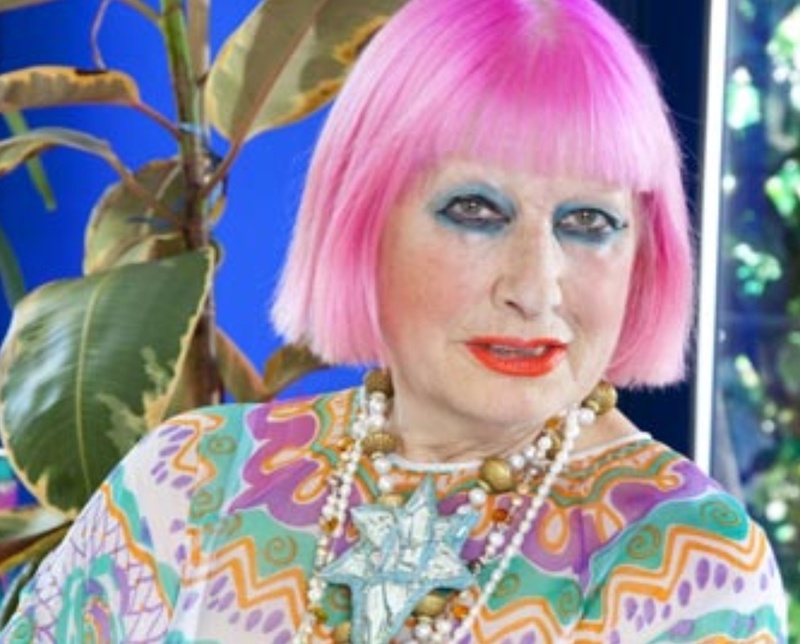 “Personality and jewellery will conquer everything;” said Zandra Rhodes and now it has. 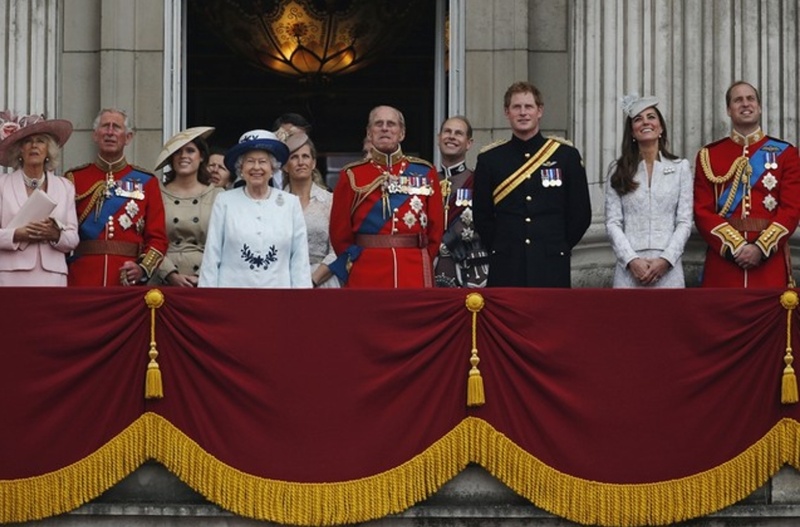 Queen Elizabeth has bestowed one of her highest honours, a damehood, on the British fashion and textile designer. Rhodes received the title, equivalent to a knighthood, as part of the annual Queen’s Birthday Honours. Rhodes, born in Chatham Kent in 1940, is the daughter of a fashion instructor and graduated from The Royal College of Art in 1964. In 1968 whilst lecturing at art college, she opened The Fulham Road Clothes Shop in Chelsea with Sylvia Ayton. She set up on her own and designed her first collection in 1969. Considered too outrageous by traditional British manufacturers she took her designs to New York where Diana Vreeland featured it in American Vogue. On the cover of Suitcase magazine. Famous for her vivid prints and colourful hair, she is considered a pillar of Sixties and Seventies British fashion. 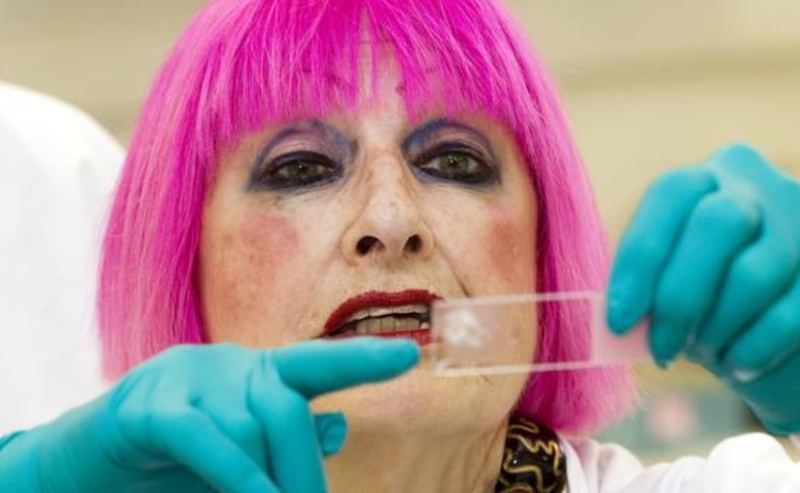 Having kept samples of all her work she founded the Textile and Fashion Museum in Bermondsey in 2003. She has designed for the rich and famous, actors and royalty including Diana, Princess of Wales, Elizabeth Taylor, Jackie Onassis, Freddy Mercury, Kylie Minogue, Paris Hilton, Bianca Jagger and Anastasia. 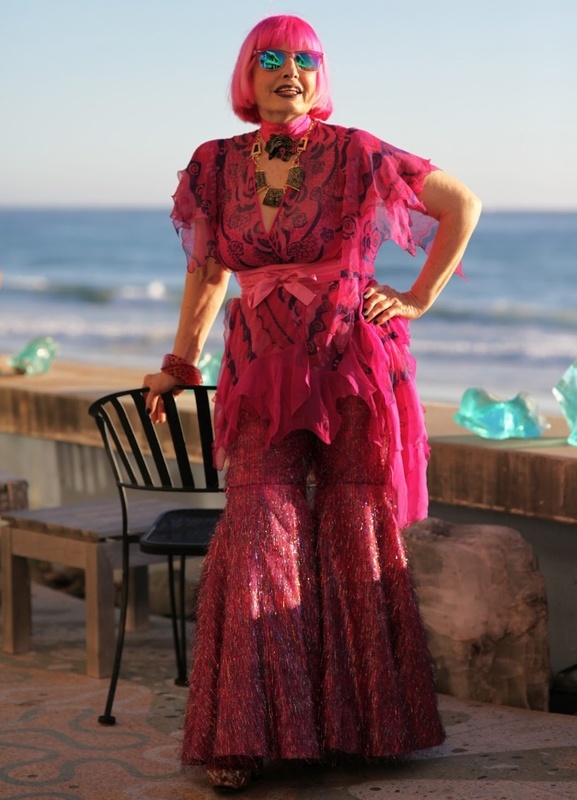 Known as “The Princess of Punk” Zandra has won many awards throughout her career including ” Designer of the Year” in 1972. She was made Commander of the British Empire in 1997 and holds nine Honorary Doctorates from Universities in the USA and UK. Rhodes lost her mother to cancer and supports Mayor Boris Johnson as Breast Cancer “ambassador” to raise awareness of the devastating disease. Angelina Jolie, though not a British citizen, was made an honorary dame for her work toward eradicating sexual violence worldwide. This entry was posted in Art & design, Bags, Business, celebrity, cosmopolitan, Culture, Dress, fashion, fun, lifestyle, london, Luxury brand, new, new season, Publications, style, Uncategorized, work, worklondonstyle and tagged Angelina Jolie, Bring Up the Bodies, celebrity, cosmopolitan, Dame Zandra Rhodes, fashion, Hilary Mantel, Kate Duchess of Cambridge, Kate Middleton, lifestyle, Literary awards, Prince Charles, Prince Harry, Prince William, Queen Elizabeth, Sexual violence, style, Tudor, ways to wear, Wolf Hall, work, worklondonstyle, Zandra Rhodes. Bookmark the permalink.